Unpack the i grobot from its little red box, place its body on its legs, fill it with the peat and seeds provided, water and watch i grobot come alive! Its grass-head can be cut and will grow again – just like a lawn. 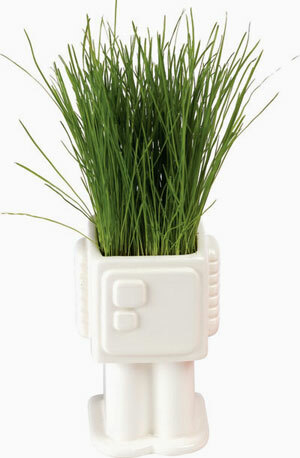 When the grass is finished growing, the planter can be replanted or used as a container for your office or home. The white glazed ceramic i grobot stands 4” T and is 2 1/2” SQ. Its grass “hair” easily adds another 2 - 3” to its overall height. Tronical Gmbh, in partnership with Gibson Guitar Corp., recently released a new Les Paul model guitar that tunes itself in about two seconds (with add-on technology that recognizes pitch). It's called the Powertune System. It's the world's first self-tuning technology - and it's especially useful for beginners. The model costs $2,499 in the U.S., with an extra $900 for the self-tuning option. The system is powered by a rechargeable lithium ion battery. 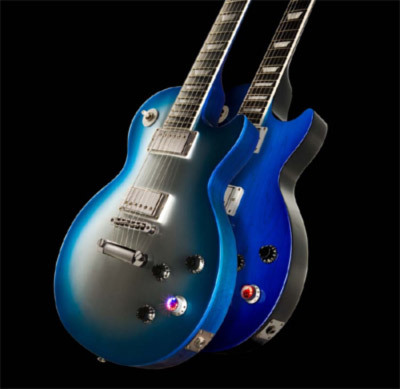 Gibson has released 4,000 of the guitars for sale worldwide. The DEPTHX (Deep Phreatic Thermal Explorer) is designed to go where humans can't. Last May, the robot began exploring El Zacaton, a Mexican sinkhole (and the world's largest at more than 1,000 feet). 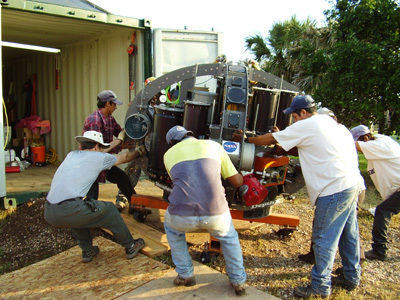 As the robot goes to the bottom, it creates and reads hundreds of 3D maps and samples of the soil and water. As early as 2015, NASA will send a DEPTHX-type robot to explore Eupora, Jupiter's moon. WowWee Ltd. is releasing an animatronic Elvis bust that copies his likeness and movements (including the trademark pompadour, facial tics and leather duds). 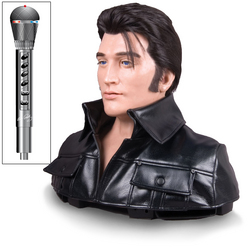 The robotic bust is licensed by Elvis Presley Enterprises. See the robot in action here. Johnny 5, of Short Circuit 80s fame, is on the online auction block until Aug. 3. Bidding starts at $100,000. Robots are getting cheaper. Small-payload robots cost as little as $10,000. 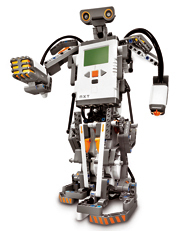 There are 158,000 robots currently installed in the U.S.
Lego Mindstorms NXT is a build-it-yourself robot with sensors and Bluetooth, so you can control it from a phone or send programs from your computer. According to Lego, NXT is simple enough for a 10-year-old kid to build in 30 minutes. The heart of the new system is the NXT brick, an autonomous 32-bit LEGO microprocessor that can be programmed using a PC, or for the first time in the retail offering, a Mac. After building their robots, users create a program within easy-to-use yet feature-rich software, powered by LabVIEW from National Instruments. 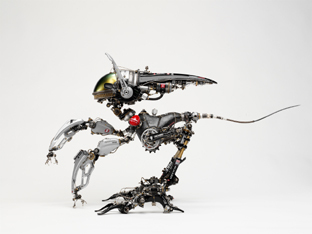 Using more than 300 SRAM bicycle components, Japanese artist Yasuhito Udagawa (aka Shovel Head) has constructed two 16-inch tall, fully articulated mechanical monstrosities named Good and Evil (which serve no purpose, really, other than to look cool). R is for R Daneel - The robot R Daneel was developed by Yasuo Kuniyoshi and takes its name from a humanoid robot that appears in several books by the late science fiction author Isaac Asimov. In the URL alphabet, R is for Robot Wisdom.